Lug worm. 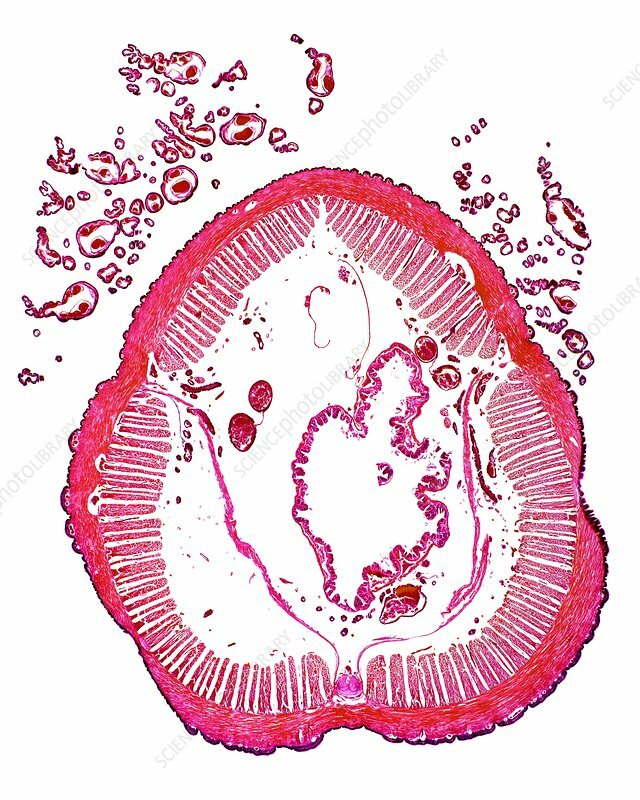 Light micrograph of a transverse section through a lugworm (Arenicola marina). The skin consists of an epidermis (black) and a dermis (red). Beneath this are layers of muscle (pink). The central intestine is at lower right (red outline). Lugworms are a marine species of annelid worm that have gills. They live in tubes in the seabed where they filter the sand for oxygen, and food. Magnification: x5 when printed at 10 centimetres wide.